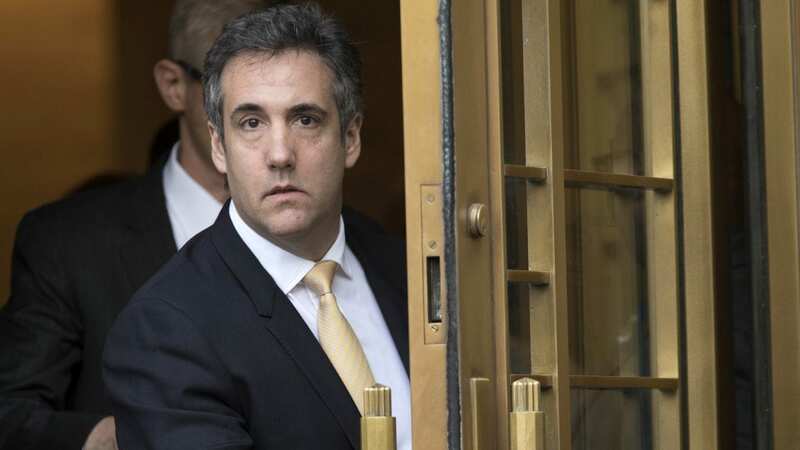 Federal prosecutors have requested a “substantial term of imprisonment” for Donald Trump’s former personal lawyer Michael Cohen but asked that a judge consider his cooperation with the special counsel’s Russia probe and other investigations in his sentencing. The recommendation came from a pair of much-anticipated sentencing memos submitted by the government Friday evening. Those documents also provide new details on the “relevant and truthful” information Cohen has provided special counsel Robert Mueller in his investigation into contacts between the 2016 Trump campaign and Russia. Cohen has pleaded guilty to financial crimes, campaign finance violations and lying to Congress. The cases were handled by the U.S. Attorney’s Office for the Southern District of New York and Mueller’s office. In their filing, prosecutors in New York argued against leniency for Cohen, saying he had committed four federal crimes over the course of several years. The New York prosecutors asked a judge to impose a sentence moderately less than the potential maximum of 63 months in prison that Cohen faces. The Probation Department has recommended a 42-month term. The campaign finance violations that Cohen pleaded guilty to in New York federal court related to so-called hush-money payments made to two women who said they had affairs with Trump. Trump has acknowledged the payments to one of the women but has denied their underlying allegations of sexual relationships. Cohen has said those payments were directed by Trump. Although Cohen has been cooperating with investigators in New York City and with the office of Justice Department special counsel Robert Mueller, he does not have a full cooperation agreement with the government. Mueller’s office, in a separate filing, did not take a position on what sentence Cohen should receive when he appears before a judge next week in New York City. Mueller’s filing did, however, outline Cohen’s help in the Russia investigation. It said that over the course of seven meetings with investigators, he has provided new information about contacts between Trump’s presidential campaign and Russians, including outreach as early as November 2015 from people seeking to arrange meetings between Trump and Russian President Vladimir Putin. The meeting did not take place. Cohen has also provided information about “certain discrete Russia-related matters core” to the special counsel’s investigation. Mueller’s filing says he obtained that information “by virtue of his regular contact with Company executives during the campaign,” which appears to be a reference to the Trump Organization. And finally, the special counsel’s team says Cohen gave them information about his contacts with people connected to the White House, as well as providing detail about how his false statements to Congress were put together. Cohen pleaded guilty to lying to Congress about negotiations between Trump’s business and powerful Russians about a possible deal for a Trump Tower in Moscow, a building that ultimately was never built. Cohen initially told Congress that the talks had stopped by January 2016. Actually, he said in his guilty plea, they continued well into the campaign, past the point at which Trump became the Republican front-runner. The crafting of that narrative was a “deliberate effort to use his lies as a way to set the tone and shape the course of the hearings in an effort to stymie the inquiries,” the special counsel’s office said. Cohen wanted to obscure from Congress and the public that if the project had been completed, Trump’s company “could have received hundreds of millions of dollars from Russian sources in licensing fees and other revenues,” prosecutors wrote. Mueller’s office has been tasked with investigating whether anyone in Trump’s campaign conspired with the Russians who were waging those “active measures” against the United States and the West. Trump repeated his criticism again on Friday and said on Twitter that his attorneys have already begun work on a rebuttal to Mueller in case the special counsel’s report is damaging to Trump and becomes public. The Trump camp also has focused its criticism on Cohen, with Trump’s attorney calling Cohen “a liar” who is making up stories to persuade the government to ease his sentence. The president has acknowledged “lightly” looking into a Trump Tower project in Moscow but said that doing so broke no law and that he was perfectly within his rights to continue to operate his real estate business at the same time his presidential campaign was picking up steam.